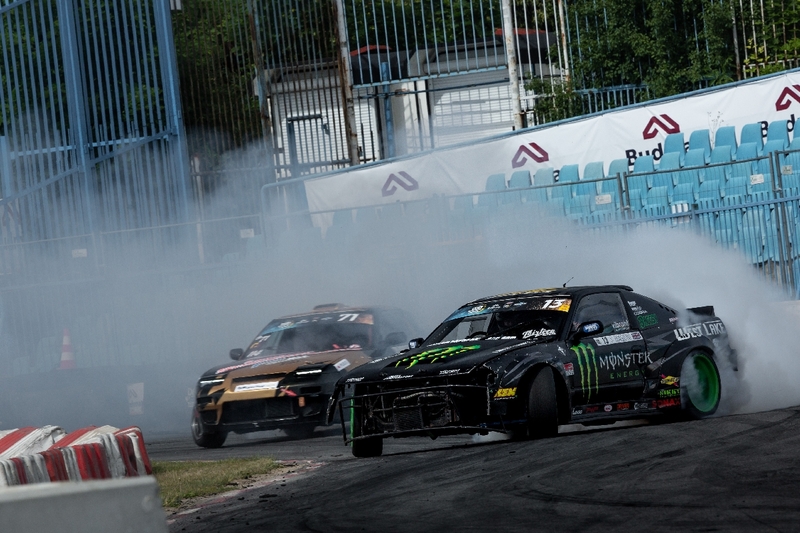 The past weekend saw the Drift Masters European Championship 2018 kick off in true style. 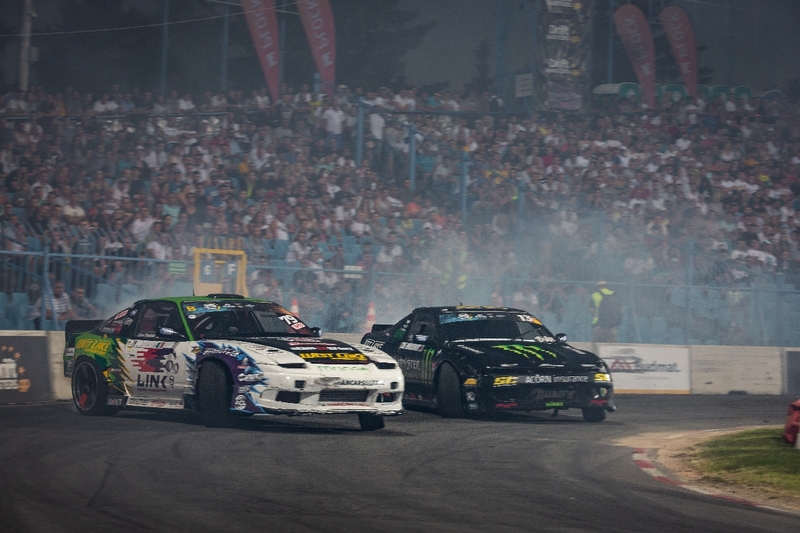 In front of a 10,000 strong crowd of drift super fans, and watched worldwide by more than a million online viewers. 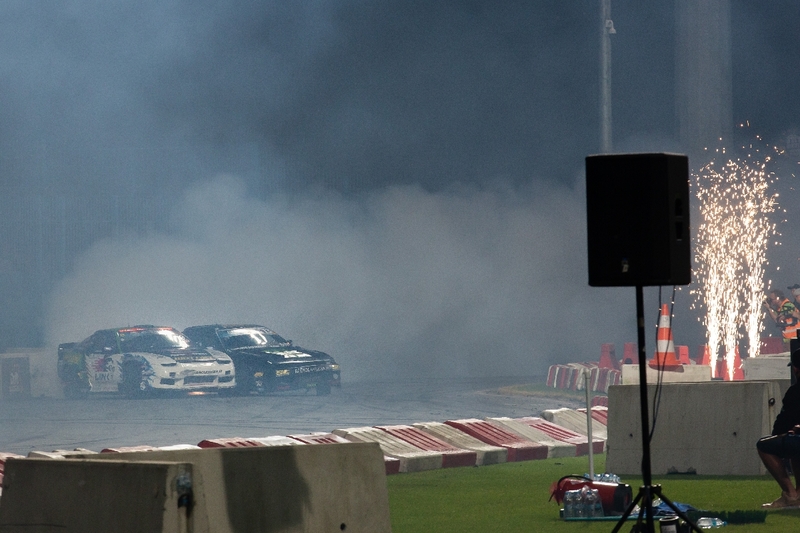 The DMEC is the place to be, and setting the bar for international drifting. History was about to be made in the Kazimierz Górski Stadium. The event got underway Thursday with a full day of practice on the fast paced yet technical track. It was clear at this point that the best from Europe had brought their A game. 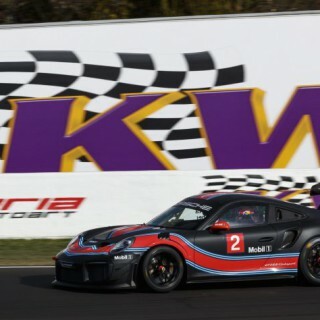 The grid was full of high horsepower and adrenalin. Friday saw another full day of practice, before getting into the qualification stage. With 52 drivers and only 32 spots in the main event, the heat was on. 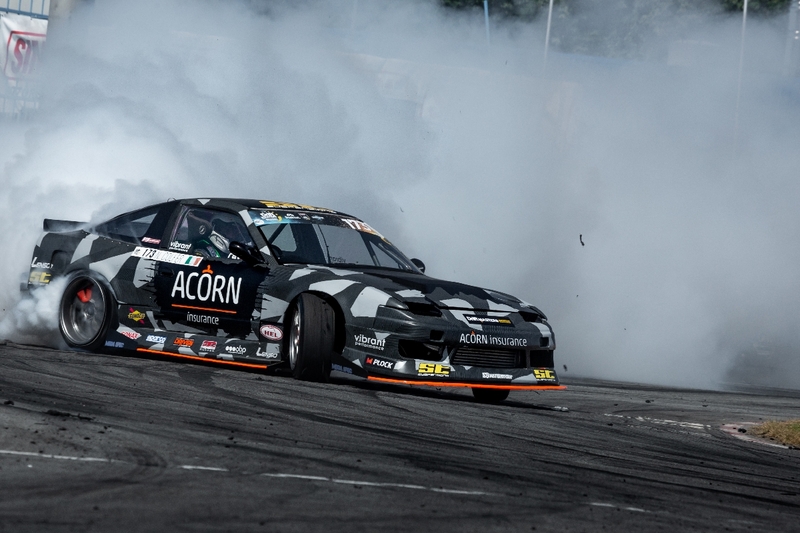 Baggsy, armed with his Nissan S13 LS3 V8 would lay down two solid runs placing him in 14th position with a score of 82.3. 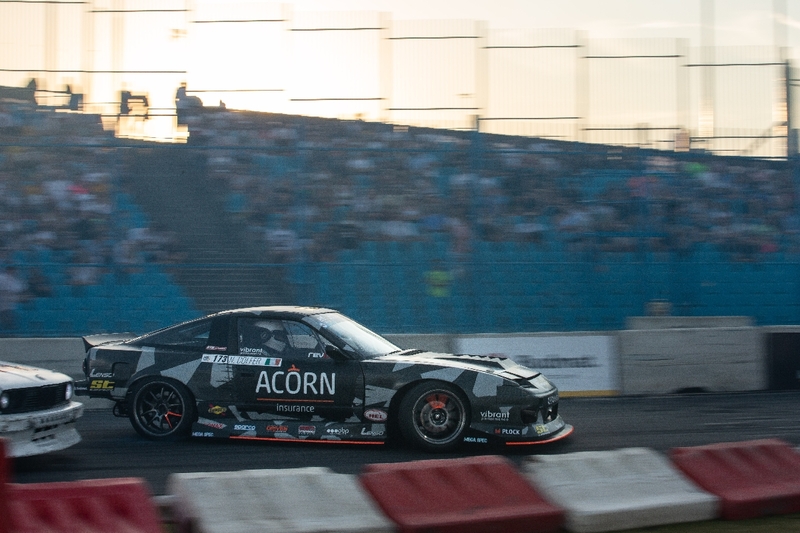 New Acorn Insurance Motorsport teammate, Nigel Colfer took the 7th spot behind the wheel of his 2JZ powered S13 with a score of 85.3. 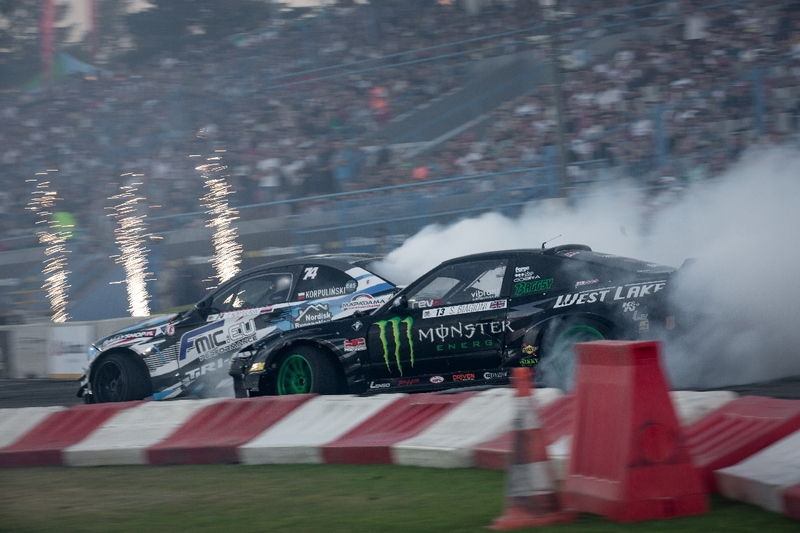 Saturday gave the drivers their first true taste of what was about to go down in Poland. Twin practice showed that every driver in the Top 32 was here to do business. With a track layout surrounded by concrete walls, the cars and drivers began to suffer, as everyone pushed their driving to the max. 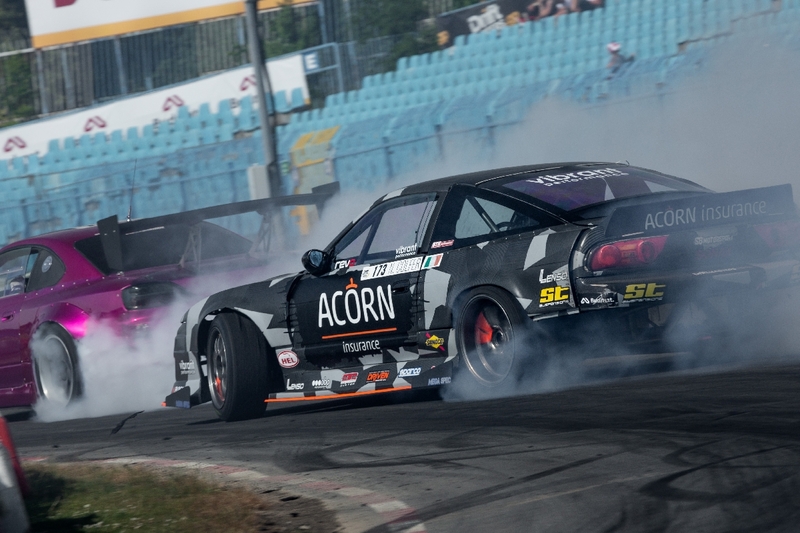 Unfortunately, Baggsy found himself in wall with the #S13V8 taking on a fair amount of damage. Refusing to let this be the end, the team at SB Motorsport worked their magic to get Baggsy and the car back out on track ready for the main event. As the sunset over the Kazimierz Górski Stadium, it was time to bring the fight. From the start, the twin battles of Top 32 were unbelievable. 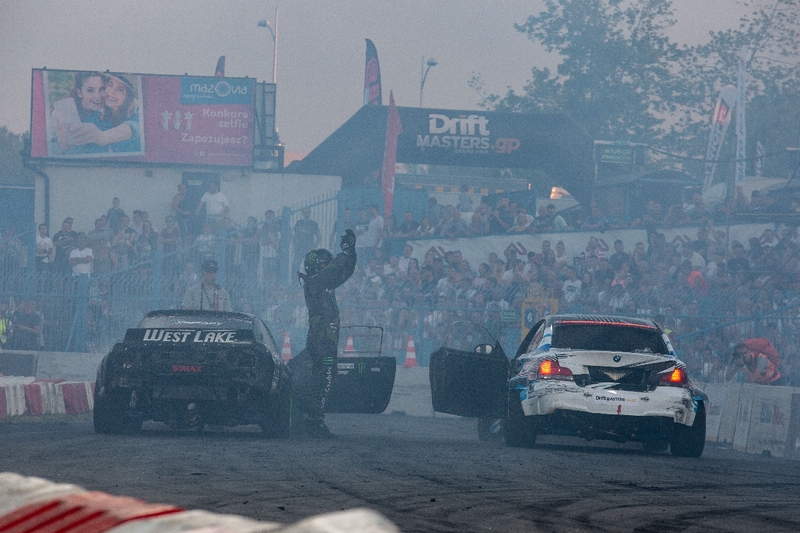 Each battle was worthy of a final, with some of the best driving the drifting world has ever seen. First up to the plate was Nigel Colfer. 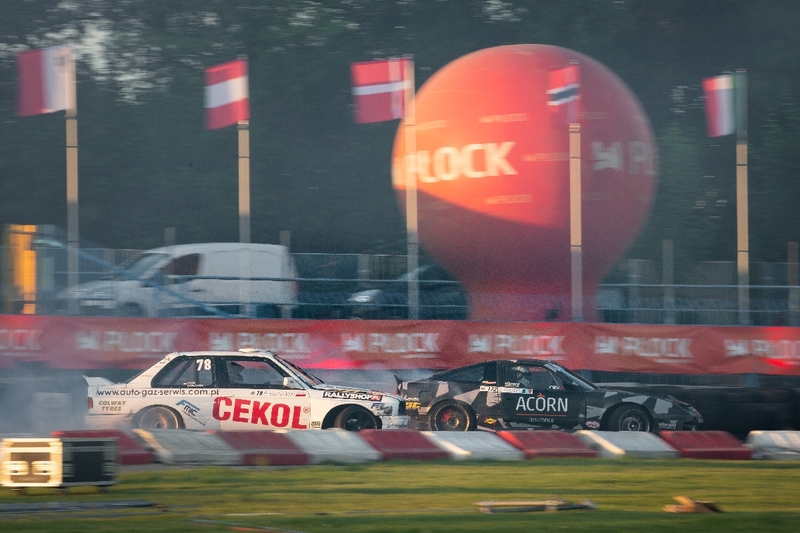 Nigel would face Polish driver Piter Kozlowski in his BMW E30. Nigel’s battle with Kozlowski would end early, after suffering from a sheared pinion shaft on his differential. Facing Polish driver Pawel Korpulinski, Baggsy would throw down two amazing runs giving him the win, and progressing him on to the Top 16 Bracket. Next up for Baggsy, was 14 year old Irish driver, Conor Shanahan. In the chase position on the first run, Baggsy stuck to the door of young Shanahan like glue. 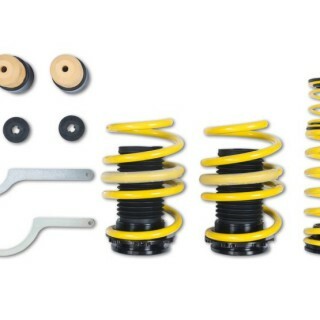 Taking it all the way across the finish line and making contact, the #S13V8 suffered damage to the rear suspension. With no 5 minute rules in DMEC, and no way to repair Baggsy’s car. The advantage would go to Conor, and see Baggsy finish the event in the Top 16. 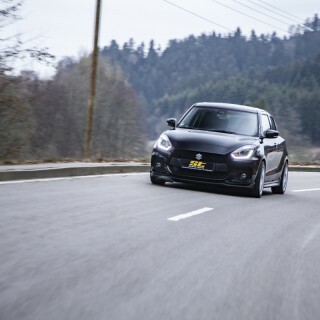 “It’s truly scary how precise Conor is with his driving at such a young age. Again we suffered some damage during the battle knocking us out of the competition. But hats of to Conor for taking it all the way to the win! It was great to be joining forces with my new Acorn Insurance Motorsport teammate Nigel Colfer. It was very unfortunate for him to suffer the mechanical failure during his Top 32 battle, as his driving was on point all weekend. 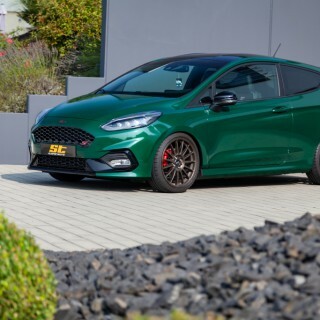 But that’s motorsport. I really cant wait to see what the rest of the DMEC season has to offer! It really is going to be one hell of a year.” said Baggsy.